Colicky infants may be more likely to have migraines when they get older, a new study published on April 17 in JAMA revealed. 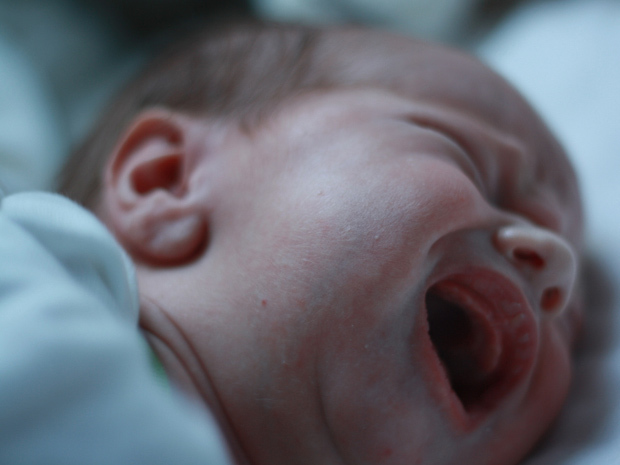 In the European study, minors who had migraines were much more likely to have reported having infantile colic, a condition that causes inconsolable crying for the first months of life. According to the American Academy of Family Physicians, a child is diagnosed with colic if their crying lasts for more than 3 hours a day at least 3 days per week for more than 3 weeks. Researchers looked at 208 children between the ages of 6 to 18 who went to the emergency room department in three different European hospitals and were diagnosed with migraines between April 2012 and June 2012. They were compared to 471 children who went to the same ERs for minor trauma during the same time period. Parents were asked to fill out a questionnaire that asked about their child's history of infantile colic history. A second study looked at 120 children who had tension-type headaches to see what specific headache types were associated with colic. About 72.6 percent of children with migraines had colic as a child, compared to 26.5 percent who did not have the infant crying illness. Overall, children who had colic were 6.6 times more likely to have migraines than those who did not have colic. Children who had migraine without aura were more likely to have colic than those who had migraine with aura, and tension-type headaches were not shown to have any association with colic. "The link between infantile colic and migraine could be based on a pathogenetic mechanism common to migraine without aura and also migraine with aura. We found that among migraine characteristics, only pulsatile pain was more frequent in children with a history of infantile colic than among children with migraine but without infantile colic. Infants with colic might experience a similar sensitization of the perivascular nerve terminals in the gut, although this hypothesis needs to be tested," the authors wrote. Andrew Charles, a professor of neurology and director of the Headache Research and Treatment Program at UCLA School of Medicine, said to USA Today that the findings may shed light on what causes colic. "We've assumed for some time that colic was a gastrointestinal phenomenon, but in fact, that may not necessarily be true," Charles explained. "That's one of the things that may surprise people about this study. It points out the possibility that this may be more of a brain issue than a gut issue." Dr. Phyllis Zee, professor of neurology and director of the sleep disorders center at the Feinberg School of Medicine at Northwestern University in Chicago, pointed out that this is just a strong association. He wrote an accompanying editorial. Zee told HealthDay that colic and migraines may be due to problems with sleep cycles and the production of the hormone melatonin, which affects the body's internal clock and brings about sleep. If this is the issue, parents should pay closer attention to their children's sleep-wake cycles. "Don't get too much light at night. Try to get more light during the day. Take the baby outside during the day, and at night, have a sleep environment that's darker," she said.